There’s so much to write about the whole busy day today. It’s the exact opposite of the jinx-full day last Saturday as per this blog post - EON, UnionBank, and Globe Refill Card Drama. But let me write everything there was today in such a way that there’s something useful to share about. 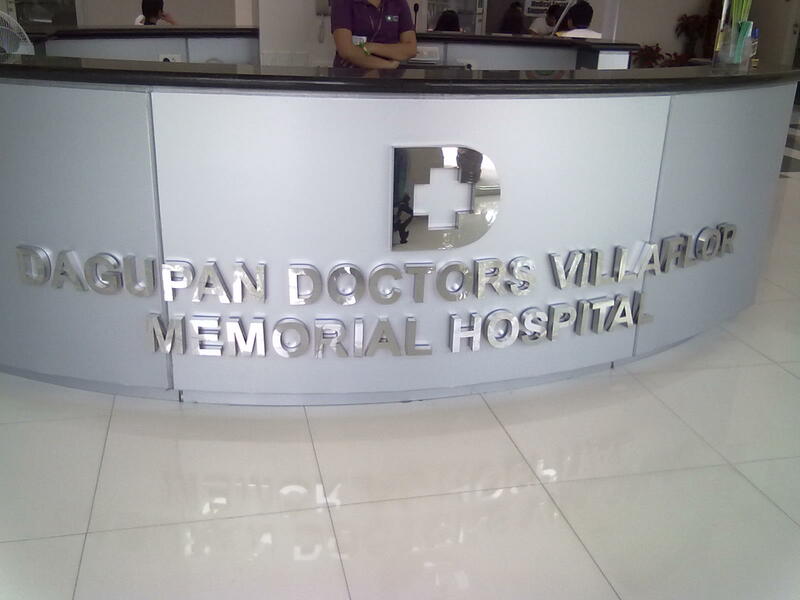 My first and last stop today is at Dagupan Doctors Villaflor Memorial Hospital. I was there early to get an appointment for the afternoon doctor’s office. It’s a regular check up for something I can’t disclose. I don’t know with other OPD offices but this office is appointment based. Your name is listed in the first 15 if you show up in person or if you call beforehand during the previous day. Next stop is Union Bank where I applied for a replacement card. I mentioned in the blog post earlier that my EON card was blocked due to incorrect password attempts both online and in the ATM machine. A replacement card costs Php 150 and is released after a week. BDO Dagupan is just beside Union Bank. They’re both in A.B. Fernandez. The contrast inside both premises is very noticeable. There were not many clients inside Union Bank in contrast to the crowd of customers inside BDO. I was there to deposit funds for an online order. I’d like to write about it some other time. By the way, BDO and Union Bank are beside each other for a reason. They are sister companies now. Power Plus Store is adjacent to both banks and you can actually pass by when you walk towards the famous crossing. Went over for a quick shop and wow! I got me a very pretty dress at only Php 199. You will find great items at affordable prices here. The store also operates nationwide. Dropping by this place made me feel nostalgic because I was employed in one of the branches (Rosales, Pangasinan) of this store back in 2006. I am not sure if there is any other Sony service center in Pangasinan but there is one in Dagupan. It’s located at Arellano Bani St., close to Nepo Mall. You can actually find the rest of the service centers by checking Sony Phil.’s site if you need anything pertaining to Sony’s products. I was there for a charger of the Sony Handycam. Got one for Php 1,900 and a matching AC cord through DIY in Nepo Mall at less than Php 100. Well, this isn’t in the list of itineraries but I bumped into a niece, Eunice while crossing the road and had lunch at KFC with her older sister, Dianne, who was with her friends. They’re both nursing students of Collegio de Dagupan. It was purely coincidental that I saw them both. Aside from seeing my nieces (mentioned in the blog entry A Taste of a Local Audio Experience with AudioLokal that I have nieces who are almost my age and I have grand kids too), got a new pair of zipped slip ons at 50% off. That’s how I shop. I go for the bargain. Sometimes I don’t need an item yet but bargains call for the need to buy a product. Francis Portraits can be considered a premier photography studio at Dagupan city and the entire Pangasinan. I dropped by for a quick shoot but will need to wait for 2 weeks before the photos are printed out. In case you’re wondering how much it costs, it’s only Php 270. I walked from Francis Portraits to Nazareth General Hospital to pick up a medical exam result. The whole walk was very nostalgic. I miss the city as I was there about 10 years ago for college. The place hardly changed since I was attending school. Even the jeepney fare seems to be the same too, or so I think? 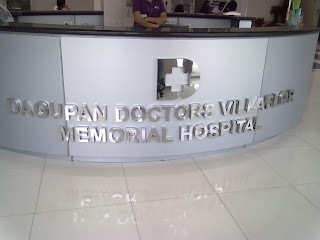 The last stop at the city as I’ve mentioned is at the Dagupan Doctors Villaflor Memorial Hospital. I saw Sugar, the assistant I wrote about in this blog entry – When Sugar is Not Sweet. I was on the phone when she passed by but I looked at her straight in the eyes. She simply glared at me. The busy day did not end at Dagupan. I went for a complete shop at SM Rosales. Yes, there is an SM in Pangasinan but it’s not in any of the cities. It’s in a small town called Rosales. That’s about it for today’s busy day. I hope that there is still something helpful that I was able to share though with every portion of this entry. See you!